The quality of your shave is primarily determined by your razor and the shaving cream. There are many different manufacturers of shave creams. Therefore, choosing a product can be a difficult task. You shouldn’t write off new companies because you haven’t heard of them yet. Some new brands have come up with useful products. This list will cover the 7 best shaving cream types on the market. The selection is mainly based on the ingredients used and the quality of the products. We have organized this list of the best shaving cream options from the cheapest to the most expensive. 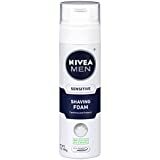 Nivea Shaving Foam is made with all natural ingredient, including macadamia seed oil, calendula extract, Aloe Vera, papaya extract, and lemon extract. These ingredients are not just safe for your skin; they also improve its state. Mind you, this shaving cream does not produce a thick foamy lather. 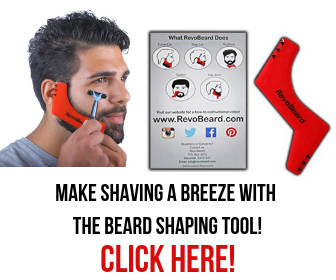 You will not even need to use a brush for application. According to the manufacturer, this is meant to prevent the cream from getting air when mixed in a bowl. This will eventually prevent you from getting nicks and will also keep you free of irritations. Moreover, the solution is activated by hot water. Therefore, you can simply wet your face and apply the cream directly with your hands after a few seconds. 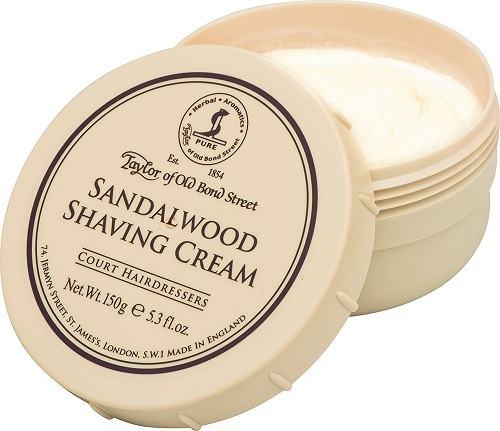 Taylor of Bond Street was founded in the 19th century and continues to produce excellent botanical products to date. A key advantage of the Sandalwood Shaving Cream Bowl is the fact that it provides a rich lather and has a lotion-like feel. It is one of the best shaving cream options because it contains glycerin, an ingredient that helps to keep your skin moist. The manufacturer also used Sandalwood scent to give the product a masculine scent. You can get the same cream in several other scents, including almond, peppermint, rose, coconut, grapefruit, lavender, and lemon. 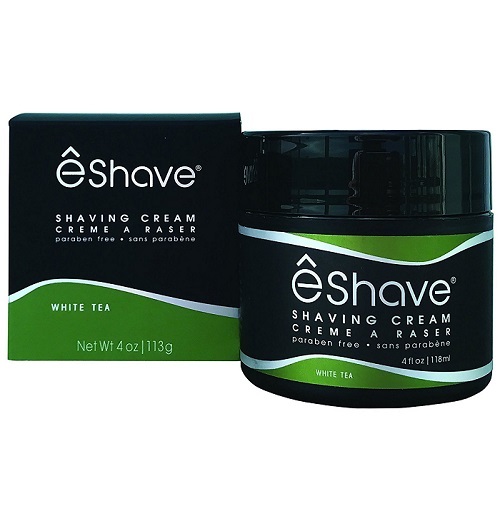 People who use double-edge safety shaving razors and straight razors will especially enjoy using this shaving cream. Manufactured by Kiehl, the Proraso Shaving Cream is made with natural oils and scents, all of which are safe for all types of skin. It does not contain parabens and other skin irritants. This is one of the best shaving cream types and has menthol as one of its components. This is an ingredient that helps to soothe the skin after you wash off the cream. The product also helps to treat oily skin. Being a brushless shave cream, you will only need to apply a small amount of the cream to your fingers and then to your face. Unlike most other shave cream brands, you will not even need to use water. It is important to rinse your shaving razor as this cream tends to clog the blades. 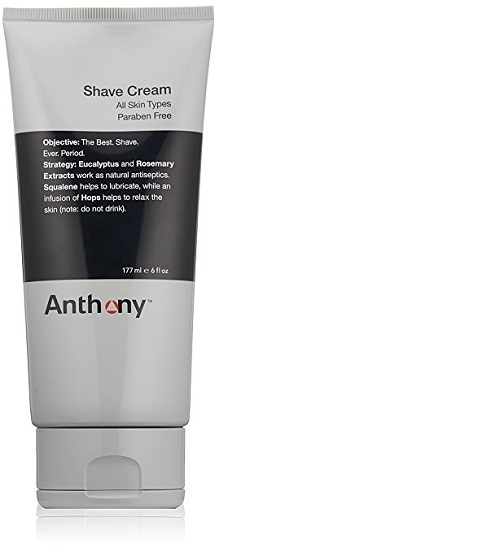 The Anthony Shave Cream has a dense formula that is designed to spread easily over the skin. It contains eucalyptus and rosemary extracts, both of which have antiseptic properties. Rosemary extract is primarily included in the formula for its hydrating and toning properties. It generally helps to rejuvenate the skin cells. Being an anti-inflammatory product, rosemary will also provide relief to people suffering from dermatitis and other skin conditions. This is one of the best shaving cream products you can get due to it squalene content, an ingredient that lubricates the skin.Another important ingredient is hops. This helps men to relax during shaving and moisturizes the skin. eShave Shave Cream is one of the youngest companies on this list. It was founded just a little over 20 years ago and has grown to become available in many countries around the world. 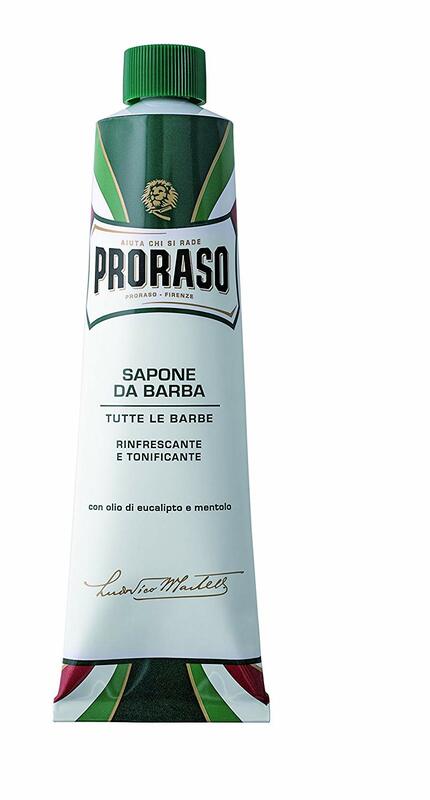 The company has received awards for their revolutionary shaving formulas. This shaving cream produces a rich and luxurious lather. If you use hot water, the lather will become even fuller because of the reaction. 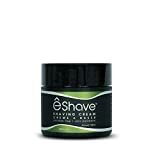 eShave shaving cream is made in four different scents, and all these are safe for the skin. They include lavender, verbena lime, orange sandalwood, and white tea. A key ingredient in this product is coconut oil. It serves as a great moisturizer and also shields your skin against bacteria. L’Occitane was founded back in the 1970s and aimed at providing natural alternatives to the harsh skincare chemicals on the market. To date, all their products are made with hypo allergic and natural ingredients. 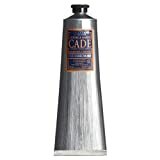 The main ingredient in this particular shaving cream is Cade essential oil. This element has strong antiseptic properties and can treat people who suffer from frequent irritations. 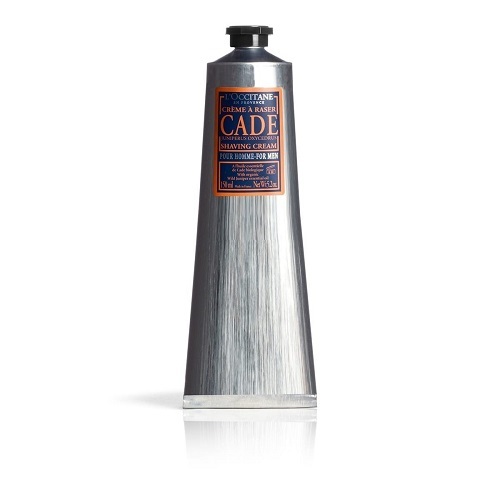 L’Occitane Cade Shaving Cream also contains Shea butter and glycerin. These ingredients will ensure that you get a nick-free shave. Your skin will also not dry out after the shave. Shea butter also gives the cream a light pleasant scent. 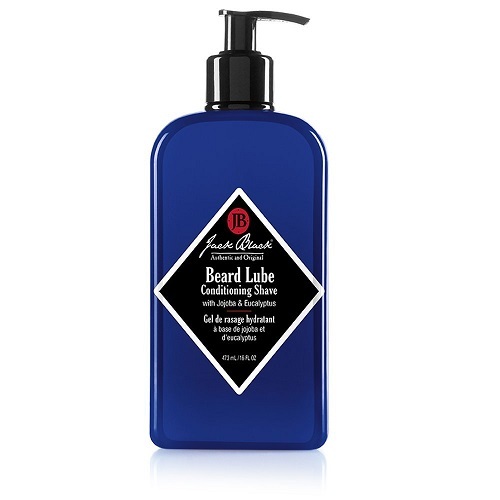 Jack Black Beard Lube Conditioning Shave serves as a pre-shave oil, conditioner, and also shave cream.Its multi-use feature is what sets it apart from other shaving creams. It will not dry out your skin like the average shaving cream. Like all other Jack Black products, this shaving cream is very high in quality. The cream is made with peppermint, menthol, and eucalyptus, and these ingredients refresh the skin. No irritating ingredients are included in this shaving cream. In fact, it only contains vegan ingredient and is free of alcohol and any fragrances. Finally, the cream is transparent and allows you to see your shaving surface. This can help you get a closer and cleaner shave. With this list, you should have an easier time shopping for the best shaving cream. It is important to consider your individual needs when searching for a shave cream. For example, if you like to have a light scent after shaving, be sure to select a product with a fragrance you like. Also, you should be sure to avoid creams with ingredients such as parabens, SLS, and SLES. These can lead to organ toxicity and can also wash away the natural oils from your face. Parabens have been noted to cause health problems such as asthma and allergies. Instead, select one of the products above as they are all free of dangerous ingredients. Previous story Merkur Long Handle Safety Razor 180 Review – Is It for You?